How do you build an A380 aircraft? Sixty students at Christel House India found out when they participated in a two day engineering workshop in Bangalore. The Airbus Foundation brought the Airbus Little Engineer robotics program to Christel House to inspire students to explore careers in Science, Technology, Engineering and Mathematics (STEM). 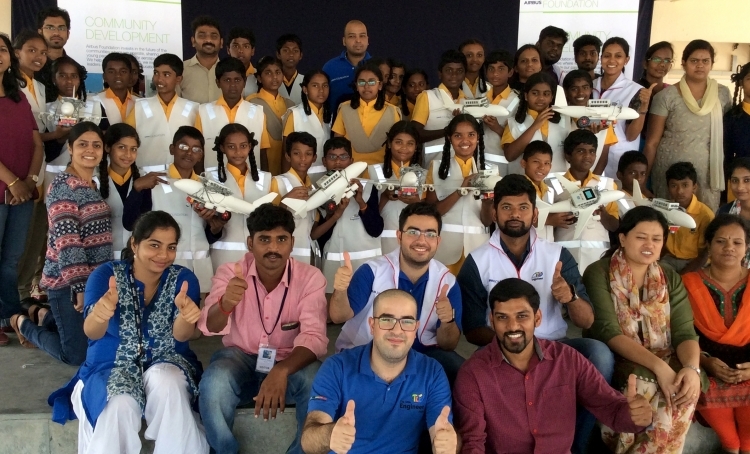 Volunteers from Airbus worked side by side with Christel House teachers to guide the students in assembling small robot aircraft models and then programming the planes to maneuver on a miniature tarmac in the classroom.